The laptop world we live in dictates that as weight drops and dimensions shrink, capability get squeezed out of the picture. 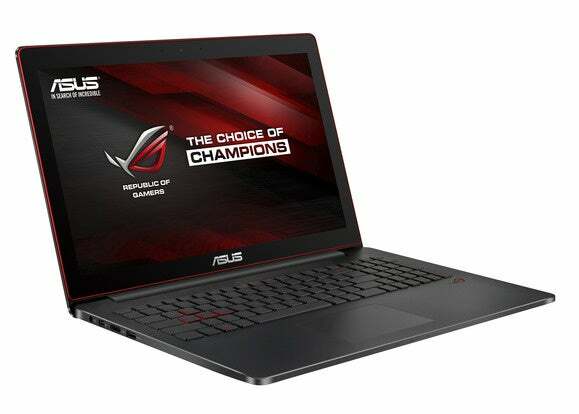 That’s the fine line Asus has to walk with its new G501 gaming laptop, which boasts a tour de force of check-off features while remaining impressively svelte. The G501 features a 15.6-inch, 3840x2160-pixel 4K IPS panel in a 4.5-pound body that measures 15x10 inches and only 0.81 inches tall. That’s about 20.5mm thick, for the metrically minded out there. The CPU is, of course, a 4th-generation quad-core Core i7 4720HQ chip. Why no 5th-gen quad-core? Because while dual-core Broadwell chips have existed for nearly five months now, Intel still hasn’t released quad-core CPUs. That in and of itself has spurred whispers that quad-core mobile Broadwell chips will be thrown out the airlock before ever being released, but Intel officials have told us they’re still on schedule. 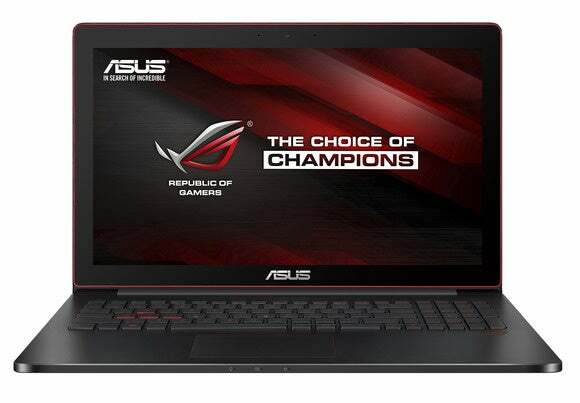 Since this is a Republic of Gamers laptop, there’s a discrete GPU—but it may be a little off in the power scale. It’s Nvidia’s new GeForce GTX 960M, essentially a process-improved GeForce GTX 860M. Performance of the new 960M hasn’t been reviewed by PCWorld yet, but I don’t expect it to measure up to its siblings, the 980M, 970M or 965M, for gaming. I also think it’ll fall far, far short of being able to drive the 4K panel at its native resolution for gaming. The G501 packs GeForce GTX 960M, quad core, M.2 PCIe SSD and Thunderbolt port into a 20mm thick body. The rest of the G501 is nicely spec’ed though, especially in storage. Few to no laptops have have shipped with M.2 PCIe SSD drives thus far, instead choosing slower and cheaper M.2 SATA SSD drives. Asus says the G501 will come with a 512GB M.2 PCIe SSD running on a x4 PCIe Gen 3 connector that’ll hit 1,400MB/s transfer speeds. The make is unknown, but it might be Samsung’s SM951 drive, which the company showed off at CES. Other amenities include 16GB of DDR3 and a single USB-C port! Kidding. Really, just kidding. Asus actually offers three USB 3.0, HDMI, headphone and mic port, SD card reader and—drum roll—a Thunderbolt port. Yes, for those who’ve given up on Thunderbolt as a dead technology that even Apple abandoned on its latest MacBook, this is certainly not an indication that Intel and Apple’s high-speed interface is quite the road kill people have assumed it is. At 4.5 lbs. and 20.5mm thick, the most natural competitor I see to the G501 is either HP’s Omen at 4.6 lbs and 19mm thick, or Razer’s updated Razer Blade. I reviewed the original HP Omen a few months ago and found it to be a beautiful laptop but a little light for my tastes in the all important GPU department. HP recently upgraded it from the GeForce GTX 860M to the same 960M used in the G501. The new G501 is 20.5mm thick when closed. The heavy hitter in this category is going to be the Razer Blade. Besides being thinner at 17.9mm and a little smaller (it also has a 14-inch QHD+ panel too) the Blade’s killer feature should be its GeForce GTX 970M part. Although I haven’t seen that part either, I’m going to guess a 970M-class GPU is going to smoke the 960M in the G501. 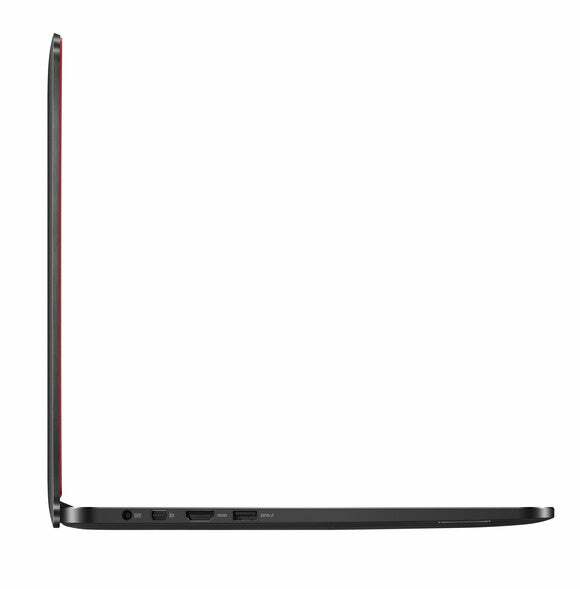 One reader also points out that that the MSI GS60 Ghost deserves a mention and he or she is right. The GS60 offers a 970M and 4K option—It's just not as thin as the Razer Blade. The G501 does have an advantage over the Omen and Blade in battery capacity. Asus has jammed a massive 96-watt-hour battery into the chassis. Compare that to the 70-watt-hour in the Blade and the 58-watt-hour job in the Omen. Finally there’s price. With a quad core part, 16GB of RAM and 512GB M.2 PCIe SSD, Asus says it’s going to charge you $2,000. That’s really not bad. The Blade with 512GB SSD and 16GB of RAM will set you back $2,700. Ouch. The HP Omen comes much closer when spec’ed with 16GB and 512GB M.2 PCIe SSD: It’ll push $2,100.